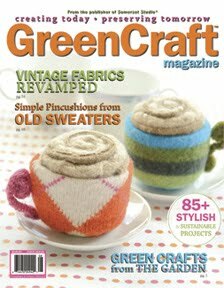 This edition of Green Craft Magazine came out over a month ago, and I am happy to say that I finally have a copy of it. The reason it makes me smile SOOOO much is because I have an article in it. The article explains how to make what I call "Tea Bag Luminaries". and has the instructions that I wrote on the page following this one. As I work towards what will become more tea bag luminaries! And I have been waiting for this post.. Congratulations! Congrats on the article Kim -- love that it inspired you to make more! So glad you got your issue! I am going to make these, they are so fab. that is after my never ending kitchen remodel gets done. what a great idea you have and they are so beautiful. Congratulations, Kim! I’m so happy for you! Don’t forget to put up a “Press” section on your sidebar! And show the magazine! How wonderful, Kim! I love how it all looks in the magazine but also how your work space and art supplies look there on the floor ~ beautiful. I'm sure it was because of your article when I purchased this publication! Your luminaries are so lovely, and I've been wondering what to do with all of the tea bags I've been saving. lol Congratulations and thank you for posting more about this. I LOVE the photo of all you art supplies!